Jan Verfailleweg 622 A, 1783 Den Helder, Netherlands. 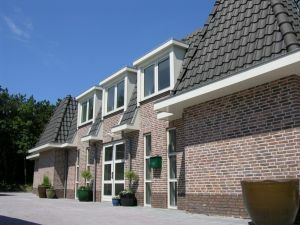 Bosch Duin Strand accommodates 10 luxurious studios (one room apartments) provided with modern bathrooms with toilet, double sinks, double rain showers or a steam/shower cabin. All rooms are besides boxspringbeds equiped with a fully-equiped kitchen (inventory list) and comfortable Chesterfield seats with a dining table. Each ground floor apartment has it’s own terrace where you can relax delightfully. Every morning you will find a breakfast basket with a fresh breakfast in front of your door, so you can enjoy your breakfast peacefully in your own room. The complex characterizes itself through the pleasant atmosphere which makes everyone feel at home immediately. Bosch Duin Strand is only seperated from the sea by the dunes of Den Helder, the forest de Donker Duinen and nature reserve Mariëndal. Because of this the complex is an ideal basis for beach lovers or for those who enjoy a beautiful bicycle/ walking trip through the dunes. More than 7 days before arrival : no cancellation costs. Less than 6 days and more than 3 day(s) before arrival: 1 night will be charged. 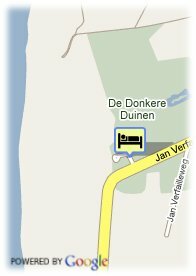 Less than 3 day(s) before arrival : 2 nights will be charged. When the reservation has not been used and no cancellation has been made at the hotel: the first 3 nights will be charged. Children less than 3 years and more than 1 year(s) old: 2.50 € for each additional bed. Children less than 12 years and more than 3 year(s) old: 10.00 € for each additional bed. For older children and adults 15.00 € for each additional bed is charged. Babybeds: 2.50 € for each additional babybed. Pets are allowed (extra charge).